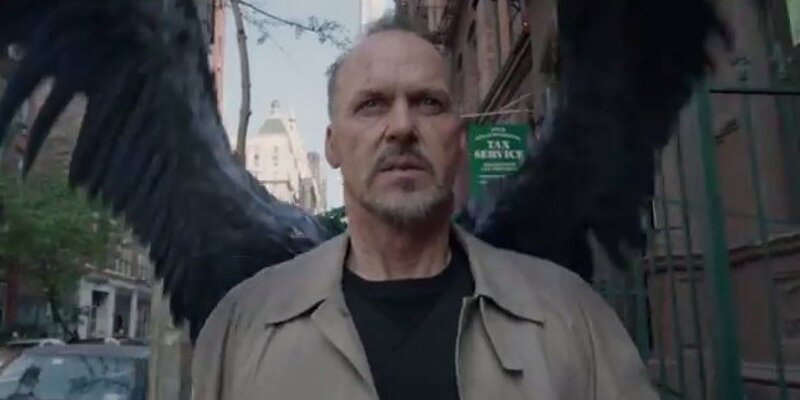 BIRDMAN (or:The Unexpected Virtue of Ignorance) is an actors dream. 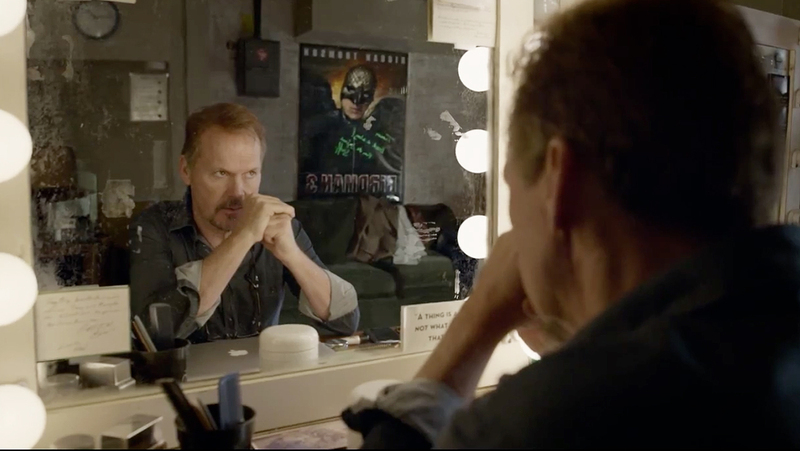 Beyond being the role-of-a-lifetime for Michael Keaton, the ingenious structure of the piece would allow this movie about actors in a play to readily adapt into play format, and serve as a priceless acting-class tool, a standard training device for practitioners of the craft—actors and directors—to mosh with for years to come. As to its ‘relevance’, beyond a breathless entertainment vehicle for performance prowess, it likely has more appeal to viewers really keen to the medium or those who just enjoy watching players tear it up more than it will engage viewers who need a movie to ‘say something’, are put off by the insularity of the subject, or its frenzied pace. Produced, co-written and directed by Alejandro G. Inarritu, the 2014 comedy-drama rockets almost without a breath for 119 minutes, employing only sixteen editing cuts to heighten the velocity. It was so well-prepped that it was rehearsed and shot in two months and edited in two weeks. Wowing critics and grabbing awards all over the map, the film grossed a respectable $101,000,000 worldwide on a modest $16.500.000 budget. Story: ‘sold-out’ Movie Star (famous as ‘Birdman’) writes and directs a Broadway play to prove he has real dramatic chops. Other ego-driven actors crash his party, critics sharpen their pens, family deals with his angst. Blisteringly funny script has great monologues that allow every cast member to chomp into them with a fury. One of a kind score—drums mixed with some classical music—by Antonio Sanchez. Faultless editing. Direction explodes with inspiration. Keaton seemed a shoo-in for an Oscar, having taken almost every other award that season, but he got passed by for Eddie Redmayne’s fine job in The Theory Of Everything. That was good acting, to be sure, but the prize belonged to Keaton. 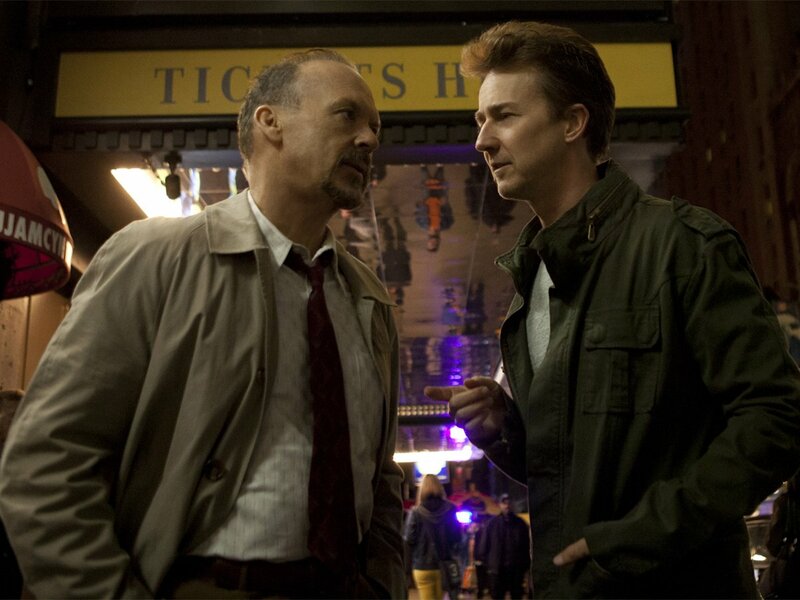 If you wanted to look up ‘comeback’ in the dictionary, next to the definition you could put a picture of Michael Keaton’s mug in this role Flanking him is stellar work from Edward Norton (riotously self-absorbed–and a bit of self-jab at Norton’s actual rep for being a pain to work with), Naomi Watts, Zack Galifianakis, Amy Ryan, Andrea Riseborough, Lindsay Duncan and —best of all, Emma Stone, de-glammed, sharp as a tack and nailing her character like it was the last chance she’d ever have—and pretty much clinching that she’ll never have to worry about unemployment. She was nominated for Supporting Actress, as was as Norton for Supporting Actor, ditto Sound Mixing and Sound Editing. It won Oscars for Best Picture, Direction, Script and Cinematography.